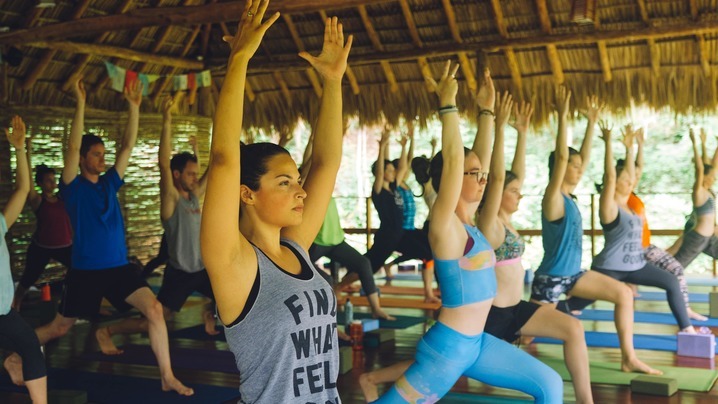 Yoga With Adriene returns to Nicaragua! An opportunity to take the mantra Find What Feels Good and apply it - in a big way. 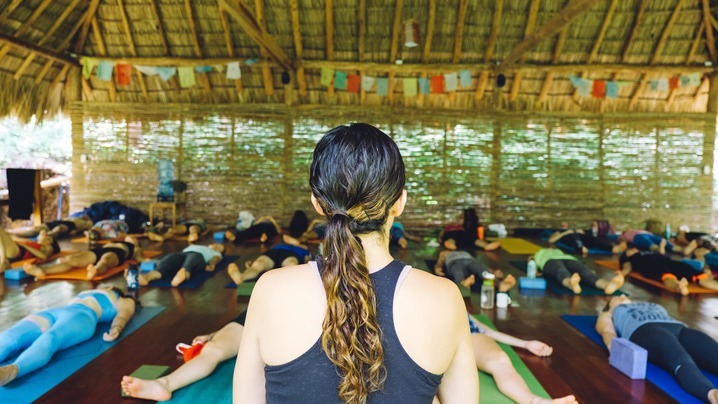 This is not your mama’s yoga retreat. Pack your bag and join us for a very special week of discovery. Adriene will invite the group to take their yoga off the mat each morning and into daily activities. Our location - hand picked for it’s good vibes, style and sustainable touch - will provide the playscape for you to nourish. A sublime invitation to connect to yourself, make discoveries, rediscoveries and of course, have some fun. Delicious meals made with love. Opportunities and time for you to do your thang. Be yourself. Take in the gorgeous coastline. Find your joy! To write, to read, to walk or run on the beach. Reflect. Invigorate. Opportunities to explore, to surf, to ride a horse - to name a few. Pamper yourself one day, adventure - the next! 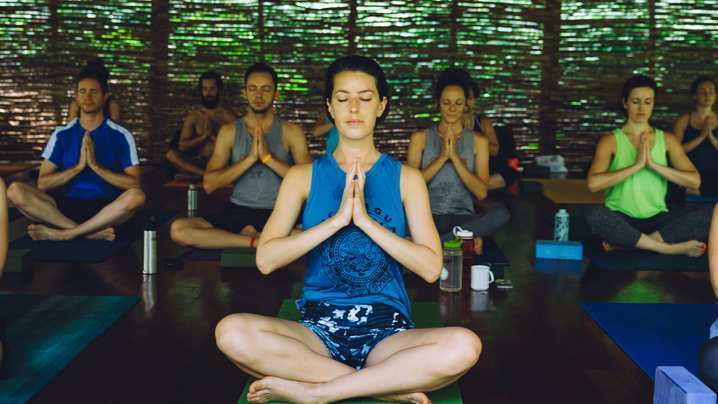 Daily Yoga With Adriene - in an open air yoga studio... in the midst of a hillside jungle. Maderas Village is an airy, sustainably-minded village nestled into a hillside jungle, overlooking Maderas beach. Open your mind. Open your heart. Prepare for paradise. Let’s have a conversation, surrender to the big picture and Find What Feels Good. Adriene is an actor and yoga teacher based out of Austin, TX. 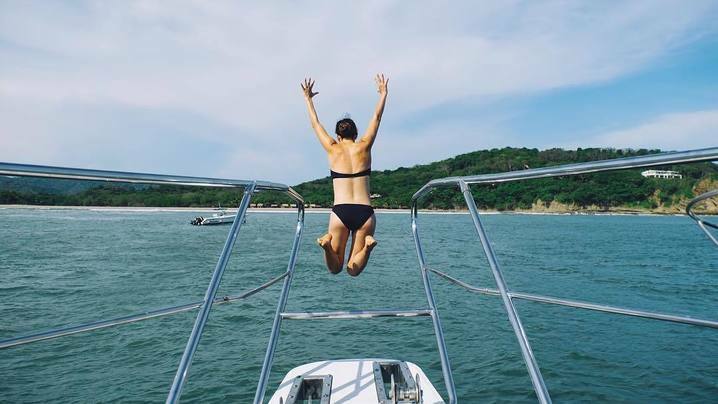 She is co-founder of Find What Feels Good, a growing online library of Yoga and Yoga Lifestyle tools to encourage you to be authentic, do your best and find what feels good. She also leads Yoga With Adriene, a happy and successful online yoga community, which creates free creative content to inspire people of all shapes and sizes to connect to their body daily. Adriene approaches health and wellness with a playfulness and even a sense of humor that encourages all personalities to the mat. 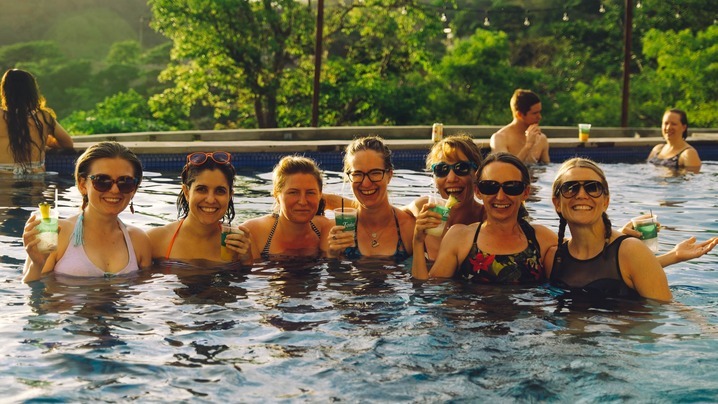 When Adriene is not in Austin she takes her playful approach to yoga on the road meeting new friends and connecting online relationships to real faces – always inviting you to build awareness, embrace individuality and connect to something BIG. We’ve tackled the essentials (good people, good food, and WiFi), balancing design, comfort, and simple luxuries to ensure that all you really need to think about is what you really need to think about. Heaven. The yoga, the new friends, the wildlife, the staff, the setting. I loved every moment. A transformative trip. So incredible that it is difficult to put into words. Beautiful accommodation, all very well organised, amazing people and good communication beforehand. 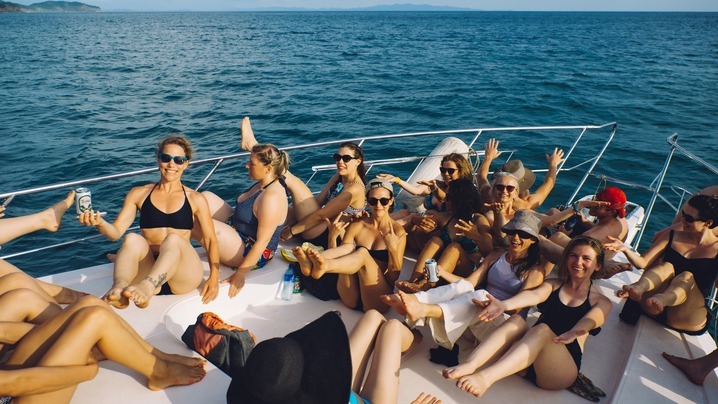 jungle yoga + beautiful beaches + good people = best trip, all around! the vibe at maderas was definitely electrifying + chill...all at once. we got to experience nica in the coolest way possible. This trip was all about the people, who I ended up loving. Our crew just ran deep and it was an incredible experience. The service here was warm and welcoming from the beginning to the end. The kitchen staff works incredibly hard and they are wonderful characters. Get to know them. From an objective view, Maderas Village is designed well for community-building. There are plenty of communal hang out spots, and the soul of the place starts from the dining area with its giant dinner tables. It's where conversations take place into the early morning. If your focus is wanting a pool or AC, you might have to look elsewhere. Absolutely amazing! Maderas village is beautiful and the staff was so friendly. I would definitely recommend Maderas and I would love to go back! This trip was absolutely amazing. Everything was organized from start to finish and it was so nice to just book my flight and have everything else taken care of. I appreciated that there was a bit of a schedule but also lots of time to do as I pleased. This was a very special week for me and I am very grateful to Trip Tribe and to Mark especially for coordinating it! A magical retreat in the lushness of Nicaragua, complete with butterflies, baby monkeys and dolphins. Seriously. The trip was profoundly beautiful in every way and left me asking for nothing except more time. Our Trip Tribe coordinator, Mark, was outstanding and an absolute stalwart. A pricey endeavor to be sure, but worth every penny. I had a great time! It really is all about the group. Wonderful people. The meals and accommodations were excellent. The fact that food and booze were included was awesome. The location itself was beautiful, albeit difficult to get to (thank goodness for the transportation). That, however, would be my only "complaint." Overall, an incredible experience. Would definitely book with Trip Tribe again. The retreat was amazing - as soon as we got there I felt right at home. The location was amazing, transportation great and honestly I couldn't knock it at all. This was an overall great experience. Thank you trip tribe! An excellent trip. Beautiful location, great company and yoga on tap. Absolutely loved it from start to finish. AWESOME!!! Good choice Mark (triptribe), Adriene, Chris & Jeff. 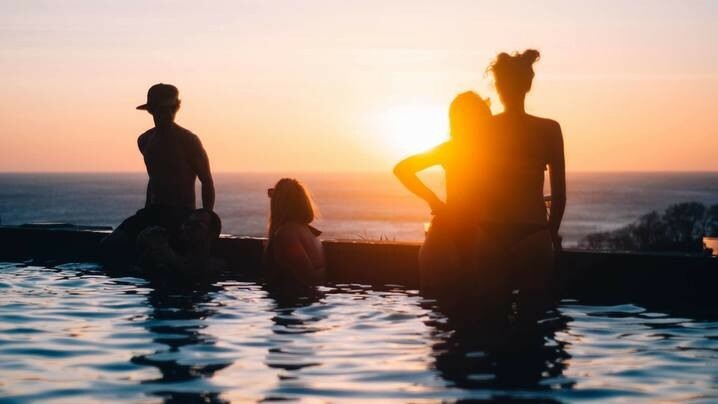 Perfect location, fabulous accommodation, inspiring yoga, fun extra activities and wonderfully unique people made for a truly magical experience. I loved every single minute. Excelente! I really enjoyed myself and would do it again in a heart beat. Everything was perfect! The Maderas Village is an incredible place to visit and relax. The staff were very accommodating and a pleasure to deal with. Wasn't expecting this community to have wifi throughout (awesome). 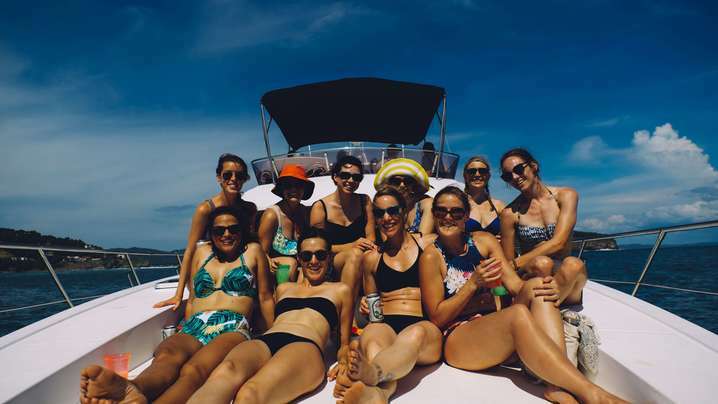 Join Adriene's Tribe and stay up to date on their trip!